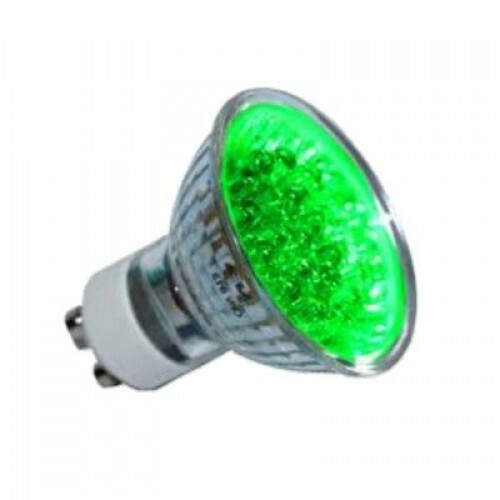 A range of coloured LED GU10 bulbs that are an ideal replacement for the standard halogen GU10 bulb. These energy efficient coloured LED lamps are made up of 20 LEDs and give a cool running temperature and a great variation of colour temperatures. Ideal for lighting up display cabinets or window areas. Please note this product is not suitable for dimming.